Meliá Hotels International will open its first location in Austria, in the country`s tallest skyscraper. The Meliá Vienna will take up 17 of the 58 floors in the 722-foot-tall DC Tower I, according to a company announcement. The DC Tower opened last year and the new hotel is expected to open this month. 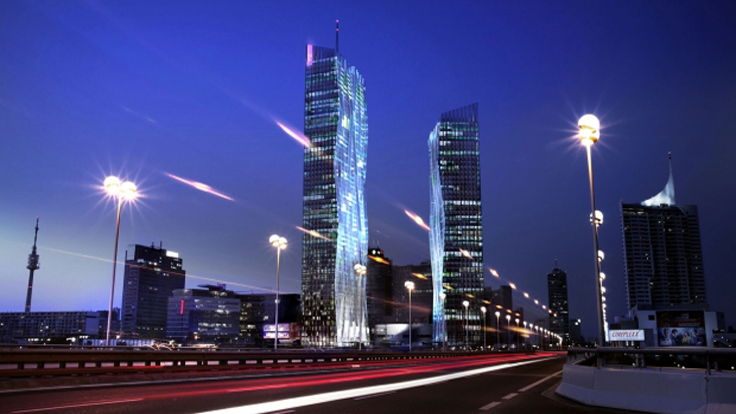 The second-tallest skyscraper for both Vienna and Austria is the 663-foot-tall Millennium Tower, followed by the 492-foot-tall Hochhaus Neue Donau and the 453-foot-tall Vienna Twin Towers, according to the Council on Tall Buildings and Urban Habitat. The DC Tower is designed by French architect Dominique Perrault and features 360-degree views of the Danubio River and the city. The 253 hotel suites for Meliá Vienna will be located between the fourth and the 15th floors of the building, including the presidential suite, which will be accessible with a private elevator. The hotel will include more than 1,000 square meters of space for meetings and events. The hotel`s restaurant will be located on the 57th floor with panoramic views, according to the announcement. Meliá Hotels International is one of the world`s largest resort hotel chains, and Spain`s leading hotel chain, according to the company. The company`s portfolio includes more than 350 hotels in 35 countries on four continents under its brands: Gran Meliá, Meliá, ME, Innside, Tryp by Wyndham, Sol and Paradisus. The company also runs Club Meliá, the only vacation club operated by a Spanish company, the company states.